"I'm not so sure one sin chasm is wider than another, but if my story can remind you that God’s love can bound across any abyss—even Islam—to reach us, then I'm happy." "He'd taken me aside to say he had, as he put it, "become a Christian"... Becoming a Christian meant rejecting your heritage. It was an insult. Worse, it was treason." "Every chapter explodes with pure awesomeness. You will laugh. You will cry. And you will love Jesus more. I promise." "Naeem’s story is really a story of God’s passionate and relentless pursuit of people. Reading it will remind you that God is in your story, in your life, drawing you closer to him." 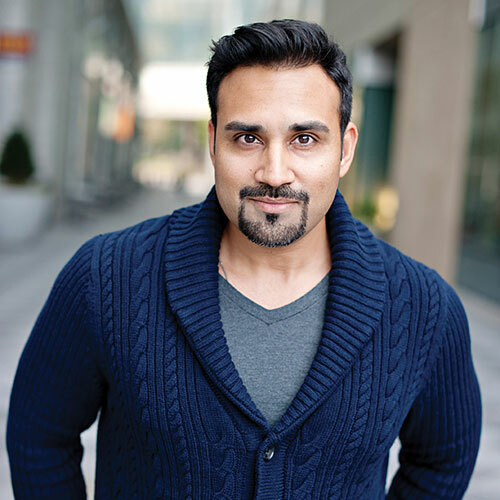 "Church; New York Times bestselling author, The Circle Maker “Every page of Naeem’s story is a reminder that—no matter what’s going on in your life—you can discover and sustain a hope that transcends your current circumstances." "Church; author, Plan B and Let Hope In “My friend Naeem is a trophy of God’s grace. In this book, you’ll experience his remarkable story in a way that will illuminate the path of your spiritual journey as well." "Ridiculously funny, witty, and certain to keep your attention. Naeem’s story is mind blowing, a real testimony to the power of God redeeming a new generation." "Don’t let Ex-Muslim fool you into thinking it’s just a personal story. It is beyond rich and layered in a much larger and deeper message—one the church so badly needs to hear." "Ex-Muslim will encourage you to rethink whether your relationship with God is cultural and performance-based, or is based on embracing the grace and kindness of God." "Naeem’s redemptive story is proof that God can do anything in our lives. No matter where we have been or our current circumstances, God can use us to make a difference in our world. This is a must-read!" 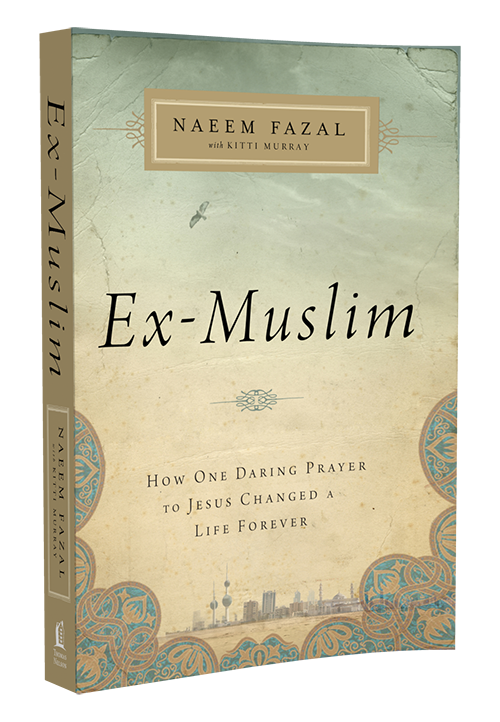 "Naeem Fazal is one of the most dynamic, Christ-centered, voices of his generation; and after reading Ex-Muslim, you’ll know why." 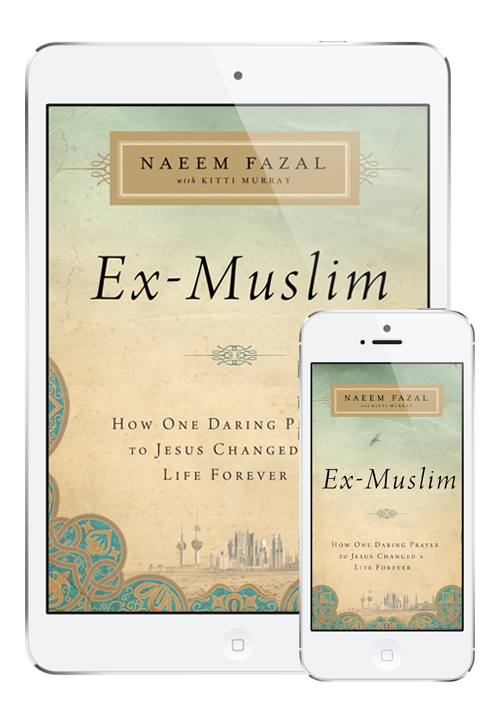 "With crosscultural candor, unexpected humor, and his passionate love for Jesus, Naeem Fazal shares an inspiring epic adventure of faith in Ex-Muslim. His perspective not only provides insight into the Islamic culture, but also reveals the power of the Gospel to transcend any barrier, label, or expectation." "Naeem’s life illustrates the strength and faithfulness of God and his story reflects God’s love and mercy." "Naeem’s modern-day encounter with Jesus is like reading about the apostle Paul’s run-in with Jesus over two thousand years ago. You’ll be captivated from the first page." "The first time I heard Naeem tell his story, it startled me and spurred me on to greater faith in Jesus. Ex-Muslim will give you a loving push to let God do more than you could ask or imagine in your daily life." "This story will ignite passion, fervor, and exuberance with expectancy." "And then my brother said the one thing that not only made sense, but also made a difference to my quaking soul that night. 'You know, there is only one person who has authority over demons and angels.'" Naeem Fazal, a Pakistani, was born and raised as a Muslim in Kuwait. He came to the United States shortly after the Gulf War of 1990. In 1992, he had a supernatural experience with Jesus that changed the course of his life. In 2006, he planted Mosaic Church in Charlotte, North Carolina. He is also the cofounder of Charlotte’s citywide outreach initiative, What If Everyone. Naeem has been featured in several magazines and on Christian networks. He often speaks at conferences and churches. For more on Naeem, please visit NaeemFazal.org, find him on Facebook, or follow him on Twitter and Instagram. Mosaic is the church Naeem leads. It is a diverse community who live by faith, are known for their love and are a voice of hope. It is our desire to reflect the diversity of our city, which includes people from different cultures, ethnicities, generations, socioeconomic status, education, and religious backgrounds. We also believe that everyone has a unique story of faith. We believe that God, through his son Jesus, takes broken people and creates a beautiful mosaic for His purpose. For more written and video content check out Mosaicchurch.tv. I am Jesus. Your life is not your own. For the first time in my life I felt like I belonged. I was at home, and I knew it had nothing to do with geography or nationality"